I was organizing my thoughts around the Decision Health Private Duty Home Care Conference. I wanted to tell you about the amazing conversations that I was a part of and witness to during lunches and social times, to think about how I could really paint a picture of this home care industry conference. I had already come home to Michigan and was going out for a Friday night gathering with business friends (yes, hanging with business friends is really fun). I was meeting my husband and business partner, Tom, and a cohort of like minded peeps, so I needed to take a Lyft to the location. My wonderful, friendly driver’s name was Percy. Percy gave me the clue that would help me to tell the story of this year’s conference. Here is what I learned from Percy and the world in just a 10 minute drive. Percy loves his 89 year old mother and has a loving caring family. His mother has been ill and in the hospital but she came home today. He is very thankful for that and hopeful that she will be well soon. Later on he will go and be with her taking turns with his sisters around the clock caring for her; a warm and sweet story of family love.His story is one example of the diversity and variations of care in the home care industry in America. During our short ride he learned that I am a business owner and that I was headed to meet with our business friends. I told him how fun it is to get to know other business owners. That I learn so much from them and through open and honest conversation they learn from me as well. He said in an offhand way that that is like “iron sharpening iron”. I remembered that saying from a bible story I learned as a child but I didn’t get the context. He reminded me of the rest of the verse, “so one man sharpens another.” I immediately got it. He recognized that people working together are actually helping the other to hone their skills in this case business skills. I immediately had my angle for this Decision Health Private Duty conference blog. As a vendor at this conference, I have many different types of situations that I find myself in. I can talk to customers, potential customers, partners and potential partners. I can get a perception of our competitors (there are often many in the room) from their marketing and branding efforts and I can talk to people who use them to find out what they like and what they don’t like. Percy’s analogy helped me to see how working with people, regarding them as partners in making my business better and their business better is the embodiment of “iron sharpens iron”. 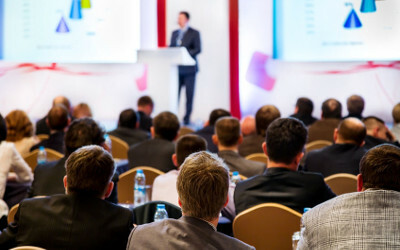 Attending conferences like the Decision Health Private Duty Home Care Conference puts many people in the same room and if one is willing to participate in open and honest conversation there will be a exchange of information, encouragement and collaborative visioning. It is all about how we can help each other succeed and grow. These exchanges can be with a business partner or customer already sharing long term relationship or can be the beginning of one that takes place in a 10 minute conversation just like the one I had with Percy. It was a very enjoyable and valuable conference. And, Percy, I hope your Thanksgiving was precious. Thank you for taking the time with me to hear each other, even if for 10 minutes. The world feels like a much more friendly place because of you.